Be the first to share your favorite memory, photo or story of Patricia. This memorial page is dedicated for family, friends and future generations to celebrate the life of their loved one. Patricia A. "Pat" Schmitz (nee Reardon), age 87, a resident of Naperville, IL since 2011, a longtime resident of Joliet, IL, passed away on Sunday, February 3, 2019 at St. Patrick's Residence in Naperville, IL. She was born July 26, 1931 in Joliet, IL. Beloved wife of the late Anthony E. "Tony" Schmitz, whom she married May 1, 1954 and who preceded her in death on November 13, 1998, loving mother of Sr. Raphael Schmitz, O. Carm. of St. Patrick's Residence in Naperville, Thomas A. Schmitz of Naperville, Patricia (Jeff) Lair of Billings, MT, Michael A. Schmitz of Billings, MT, Catherine (Dennis) Murphy of Braidwood, IL, Dennis (Diane) Schmitz of Plainfield, IL and the late Anthony Schmitz, the late Timothy Schmitz and the late John G. Schmitz, adored grandmother of seventeen and cherished great-grandmother of many, devoted daughter of the late Thomas and Margaret (nee McCauley) Reardon, dear sister of Thomas (Sandra) Reardon of Lockport, IL, a twin brother, the late Francis (the late Jean) Reardon and the late Raymond (Jane) Reardon, sister-in-law of Marilyn Legan of Romeoville, IL, fond aunt, great-aunt and friend of many. Pat grew up in Joliet, IL and was a graduate of Providence High School in Joliet, IL. 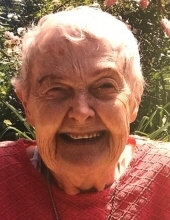 A loving and devoted homemaker, Pat was a longtime member of St. Patrick's Catholic Church in Joliet. Visitation will be held Friday, February 8, 2019, 3:00 - 7:00 PM at St. Patrick's Residence, 1400 Brookdale Rd., Naperville, IL 60563, (630) 416-6565. Additional Visitation will be held Saturday, February 9, 2019, 9:00 - 10:00 AM at St. Patrick's Residence. A Mass of Christian Burial will follow Saturday, 10:00 AM at St. Patrick's Residence. Interment: Mt. Olivet Cemetery, Joliet, IL. Arrangements by Friedrich-Jones Funeral Home & Cremation Services, Naperville, IL. To send flowers or a remembrance gift to the family of Patricia A. "Pat" Schmitz, please visit our Tribute Store. "Email Address" would like to share the life celebration of Patricia A. "Pat" Schmitz. Click on the "link" to go to share a favorite memory or leave a condolence message for the family.